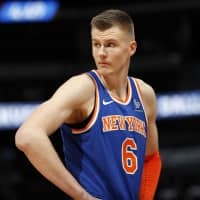 NEW YORK - The New York Knicks were having their doubts, wondering if Kristaps Porzingis truly wanted to be part of the franchise. On Thursday, they say he made it clear he didn’t. 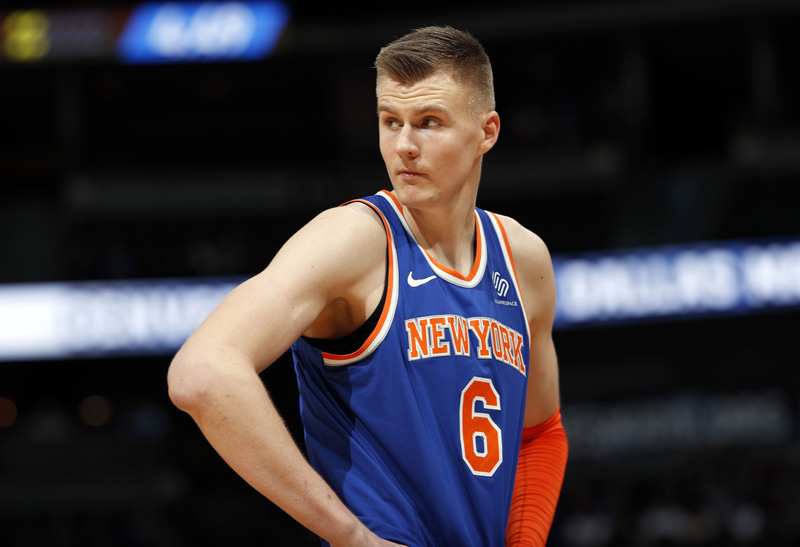 “When he came in today, it was clear to us that it was time to pull the trigger on something,” Knicks president Steve Mills said. “We feel like we did the right thing,” Mills said. “When you’re trying to think about how you want to build your team for the long term, you don’t want to commit a max (contract) to a player who clearly says to you he doesn’t want to be here,” Mills said. The 220-cm Porzingis was the No. 4 pick in 2015 and averaged 17.8 points and 7.1 rebounds in New York, where he was expected to be the Knicks’ franchise player for years. But they declined to give him a contract extension before this season — they say he was in agreement with that decision — and now by trading him and Hardaway seem instead to be gearing up to pursue players in free agency, with nearly $70 million in cap space. But they won’t have Porzingis, who they once believed was the kind of talent who could help attract those players. The Latvian has 3-point range on offense and shot-blocking skills on defense, and had made his first All-Star team just before tearing his ACL after a dunk against Milwaukee on Feb. 6, 2018. The most valuable player in the deal from the Knicks’ standpoint is likely Smith, the point guard they passed on with the No. 8 pick in 2017 when they instead took Frank Ntilikina. The Mavericks took Smith, a North Carolina State product, one pick later, and he posted the second triple-double of his career Wednesday when Dallas won at Madison Square Garden.